If you are an aspiring screenplay writer but are unsure of how to write a screenplay for a horror film, there are steps that you can take to learn. Like many other skills in life, it takes a lot of research, practice and repetition to be good at it. Every genre is different and each one takes a different approach. For example, if you are wondering how to write a screenplay for the horror genre, it obviously must be something that people will find scary. If you are unfamiliar with the artistic and technical aspects of how to write a horror screenplay, there are many steps you can take to learn the process. 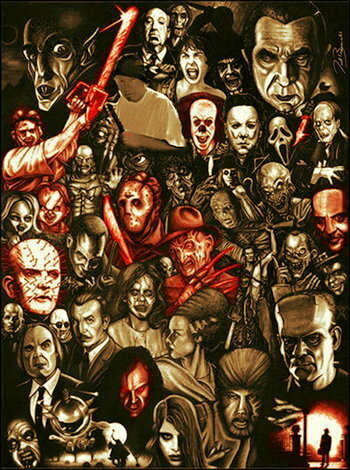 Horror movies have always been and still are popular with audiences all over the world. Horror film lovers enjoy being given chills, goose bumps and a good scare. A good horror screenplay can even cause some people to lose sleep at night if it is scary enough. A good horror screenplay should not only be scary, but also have a good plot. Most horror films give you at least one character you want to root for. For example, in the movie I Know What You Did Last Summer, people were cringing in their seats hoping the small town teens would be able to run away from the unidentified man with the hook. You must get the audience hooked at the beginning. You can do this by starting your screenplay with suspense. For example, in the beginning of the movie When a Stranger Calls, a young girl is on the phone with a mysterious character who sounds creepy and the girl ends up dead in the next scene. The heroes must have flaws. Otherwise, there wouldn’t be any suspense. If the hero was untouchable it defeats the purpose of a horror film. There would be no threat or peril and no suspense. Most great horror films do not have too happy of an ending. For example, in I Still Know What You Did Last Summer, the hero and his mistress believe that they disposed of the killer, but when he shows up at their happy home in the end the killer winds up the victor. Even though the main good character often survives in a horror movie, most of the rest of the cast is usually dead by the end. Just like a lot of comedies and dramas, many horror screenplays have sub-genres. While some horror films are about monsters, boogeymen and zombies, some are about serial killers, torture and things that can really happen. Romantic horror films were very popular in the 90’s with movies like Scream and I Know What You Did Last Summer. Another popular romantic horror film is White Noise, where the main character loses his wife in a car accident and tries to contact her dead soul through radio frequency. If you have an idea for a new horror film but are unsure what to do next, New Show Studios can help. New Show Studios is a company designed specifically for everyday people with ideas for screens big and small (TV shows, movies, webisodes). The company has all the resources under one roof to develop your screenplay idea into a concept package and present it to an entertainment company through its exclusive licensing agent, SFM Entertainment. SFM Entertainment has over 40 years of experience in the entertainment industry. Do you have an idea for a new TV show, movie or webisode? Click here to confidentially submit your idea! This entry was posted in Blog and tagged horror films, horror movies, horror screenplay, how to write a screenplay, new tv show idea, scary movies, screenplay by newshowstudios. Bookmark the permalink.